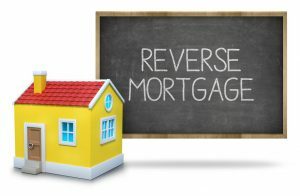 When people think of a reverse mortgage, they are often confused about the distribution of funds and how that works. There are several ways a borrower can receive funds if funds are available after the paying off of any existing liens. It is important to note that with a reverse mortgage all previous liens must be extinguished with the loan proceeds before new funds can be available. Here are the choices when it comes to the types of reverse mortgage payments available if you qualify. Many people choose a line of credit. Why? Because those funds in the line are readily available AND do not accrue interest until they are utilized. And when borrowers take money, they accrue interest only on the portion they access, and the remaining line remains interest free. An example would be if the line of credit is at $300,000 and the borrower takes out $10,000, he or she only accrues interest on the now borrowed $10,000. Also, and this is particularly appealing, the line of credit has what is known as a “growth rate” that equals the composite interest rate of the loan. That mean if the composite interest rate on the loan is, say, 5%, the unused portion of the line of credit grows at 5% annually. As you can imagine this begins to add up rather quickly if the borrower leaves the line untouched and allows it to grow. Keeping with the $300,000 line of credit example ($300 x 5% /12 ) the credit line would grow by $1,250.00 dollars the first month alone and go from there. The next month would be subject to the same formula only the available balance in the line would now be $301,250 dollars. One thing to be aware of with the line of credit reverse mortgage option: It is only available with an adjustable interest rate. It is not available with a fixed interest rate. The tenure option gives borrowers a pre-set monthly amount for the rest of their lives or for as long as they live in their homes. This monthly amount is based on the “principal limit” of the loan and the life expectancy of the borrowers. 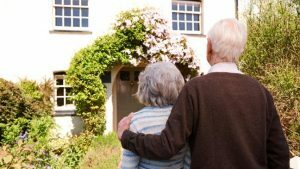 This is a good type of reverse mortgage for many people because they know how much money they will be getting each month and they don’t have to worry about it, similar to social security. Borrowers accrue interest on the cumulative amount they receive as they receive it and not before. This option can be combined with a limited cash out up front, meaning the borrower can receive funds up front when the loan closes and the remaining principal limit is used to calculate the monthly tenure amount. The Term option is the same as a Tenure except it covers a specified amount of time and not for the rest of the borrower’s life or until the borrower no longer lives in the house which, usually, is an unknown factor. Payments would be split evenly across a predetermined amount of time. Common examples would be 5, 10, 15 or 20 year terms. This option typically INCREASES the monthly amount a borrower would receive each month but leaves a little uncertainty as to when the term expires — if it reaches that point. Borrowers have the option an anytime to switch from a Term to a Tenure and new calculations would be configured based on the life expectancy and principal limit or the reverse mortgage. The Lump Sum option is attached to a fixed rate mortgage (not an adjustable rate) and the only way a borrower can access all of his or her funds at once in the beginning. Once the lump sum option is exercised, and the funds are released, there are no more funds to access or mange for the life of the loan. Borrowers choose this option when they have to pay off a large mortgage or find it necessary to use the funds immediately. Interest accrues on the entire amount of the loan from the beginning. This credit line allows borrowers to take out as much funds as they need at the beginning of the loan and then access funds as need be and benefit from the line of credit growth rate. As you can see there are many different types of reverse mortgages payments and options. Weighing the pros and cons of a reverse mortgage is ultimately up to you. But first in order to see if a reverse mortgage is right for you at all, you will need to visit our reverse mortgage calculator. This will let you know if this is a viable solution to aid you with your retirement and put tax free money back into your pocket.